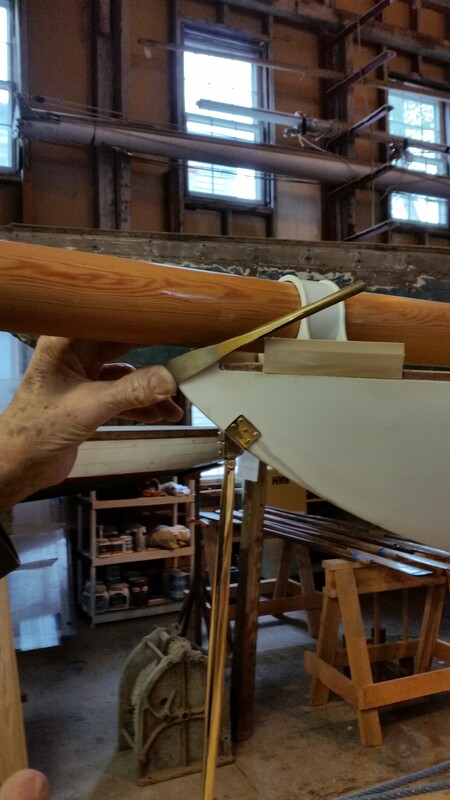 Here is the mast jig that Keith built. 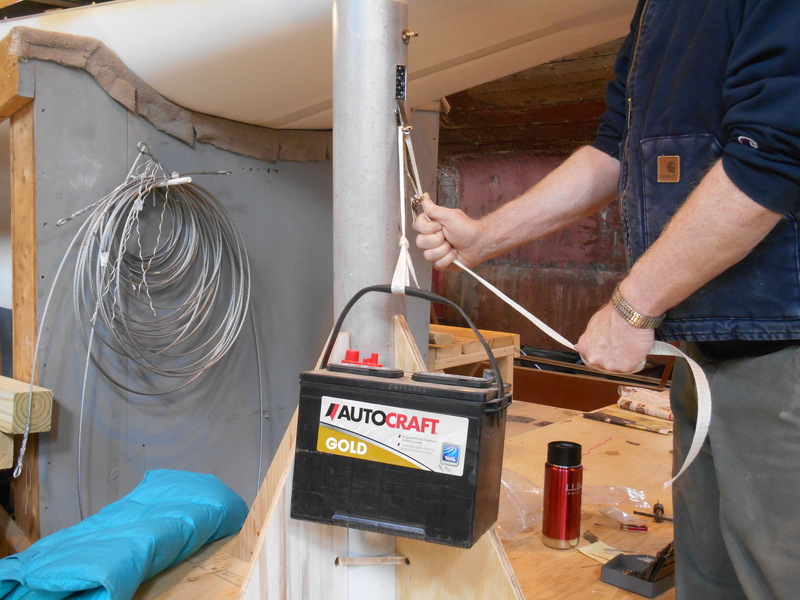 When we’re ready with the mast and standing rigging, we’ll put the mast into it and then measure all the standing rigging at deck level to make sure we have the correct lengths. 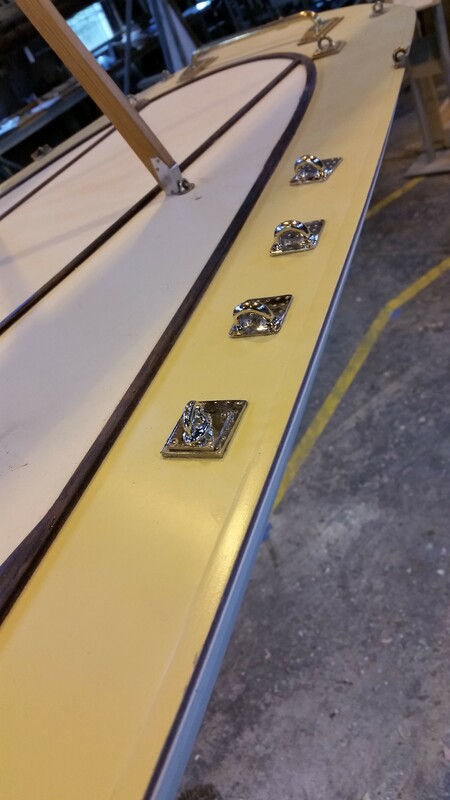 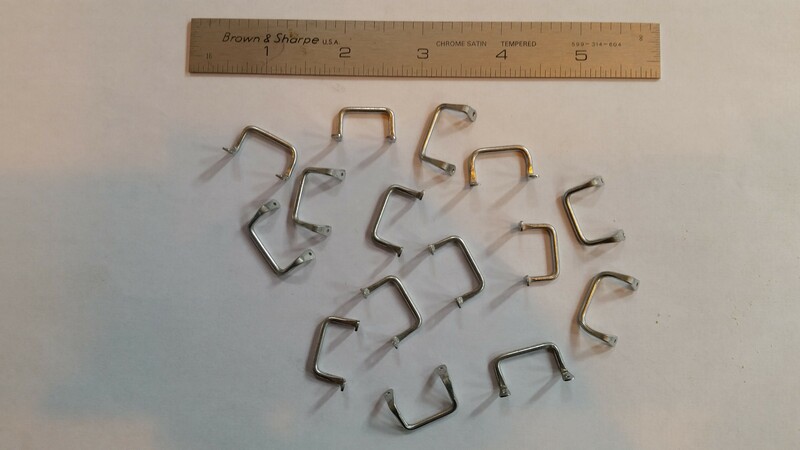 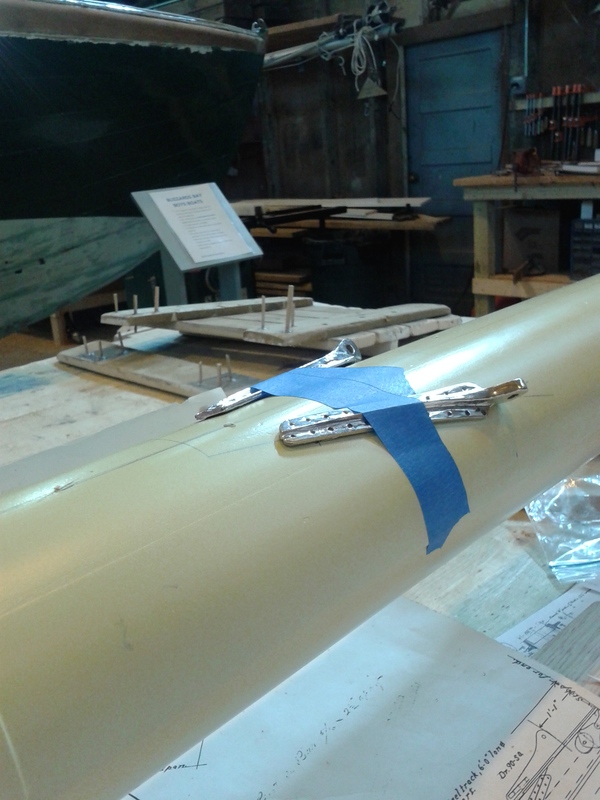 This way, all the main shrouds will be at similar levels when attached to turnbuckles, and the forestay at measured length will ensure the correct 1.5 degree rake aft. 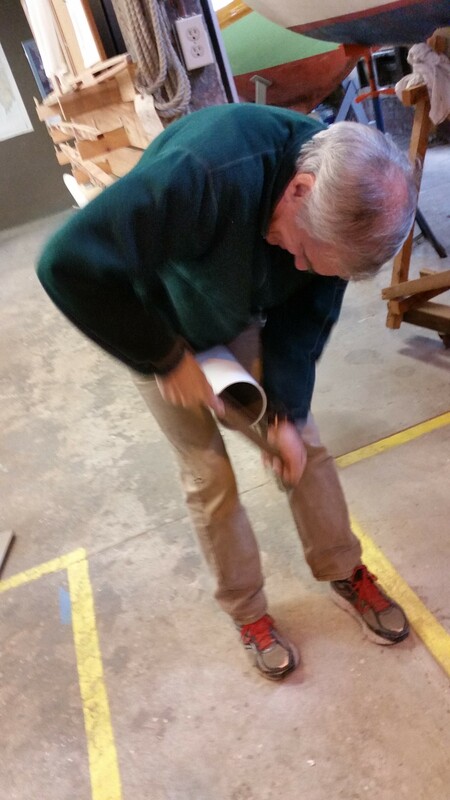 In the meantime, we’ve been practicing our attachment process and with our high-test strain meter calculating how much strain the fittings will hold. 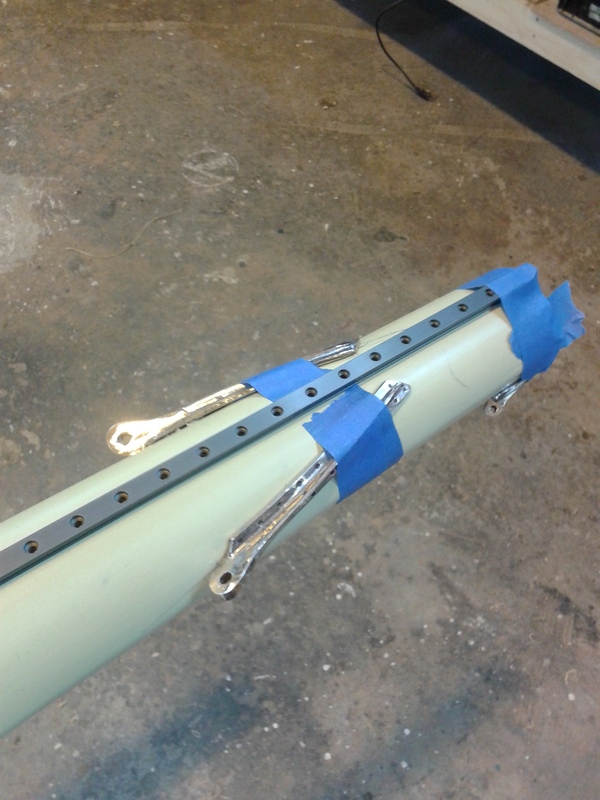 Not quite the destructive testing NGH did, but we hope it’ll do! 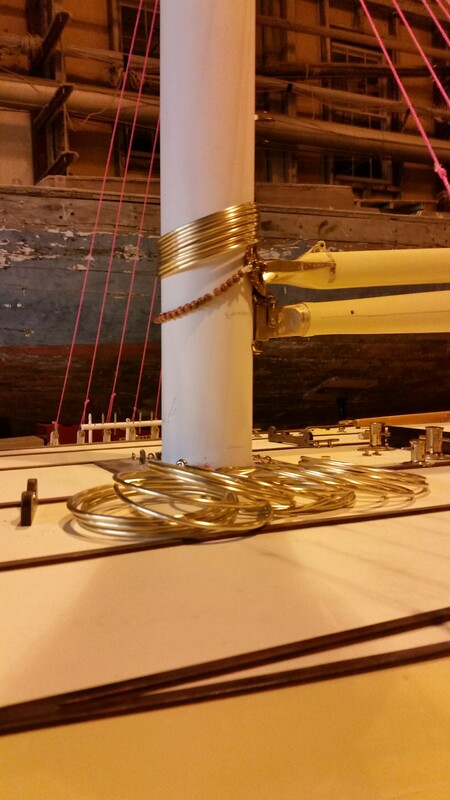 Rigging hanging from the stump mast is ready to go: all seized in eyes to place at the top of the mast. 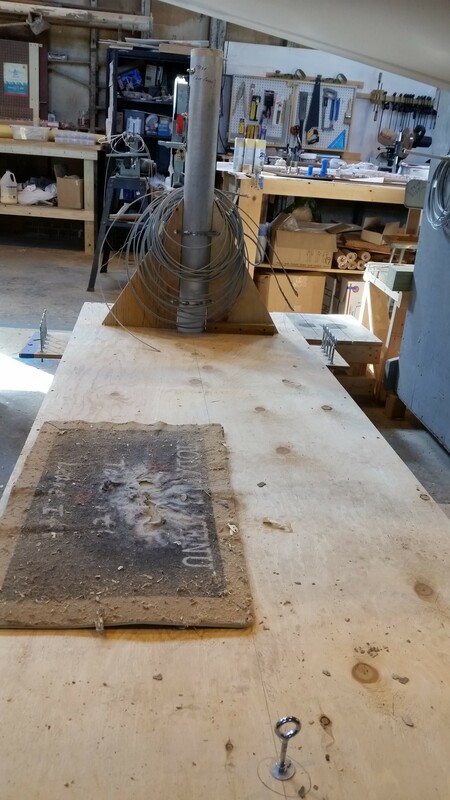 PS: The mat is for Lucy, our shy shop dog. 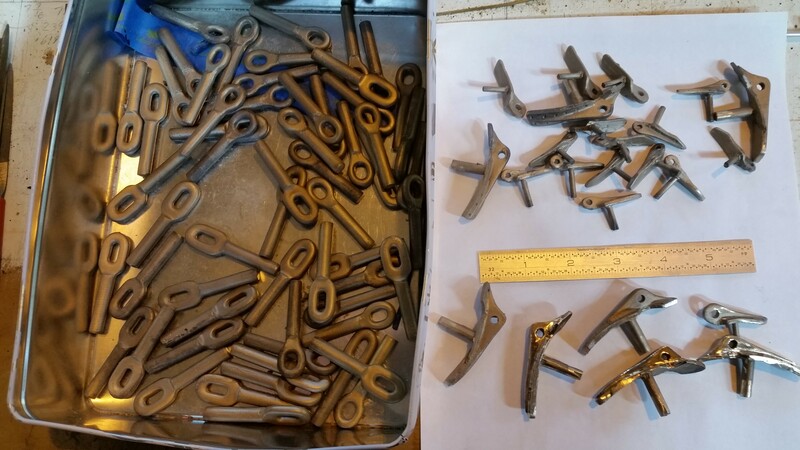 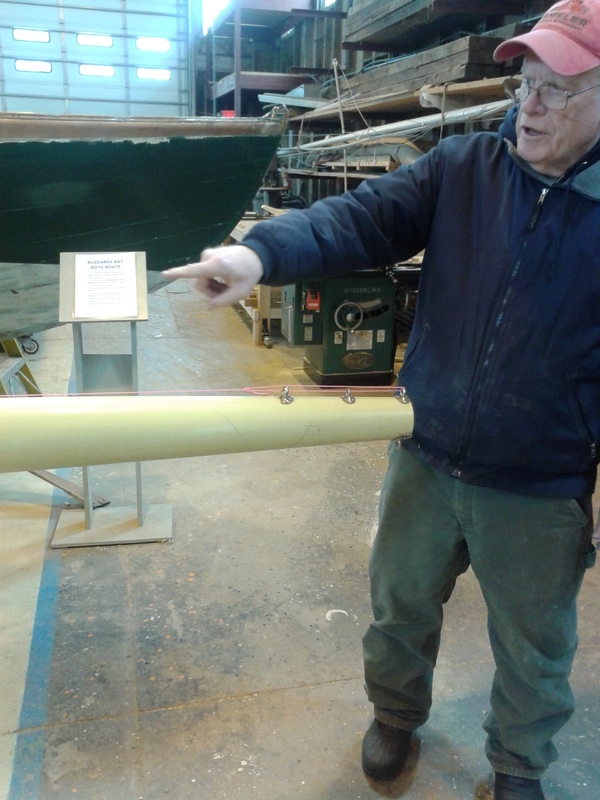 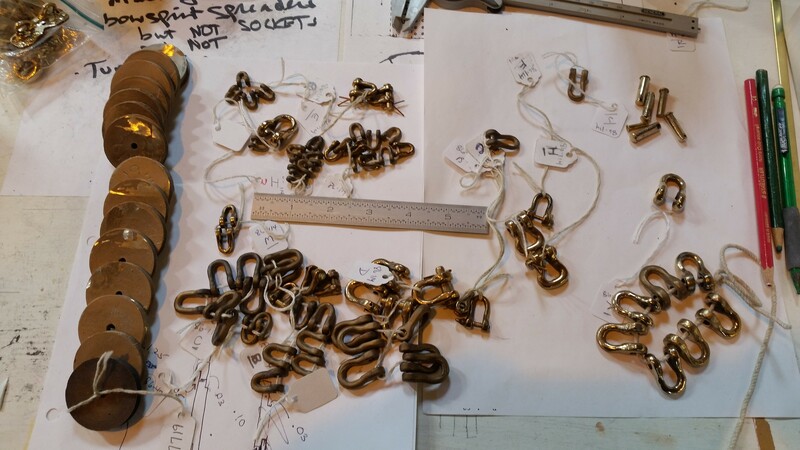 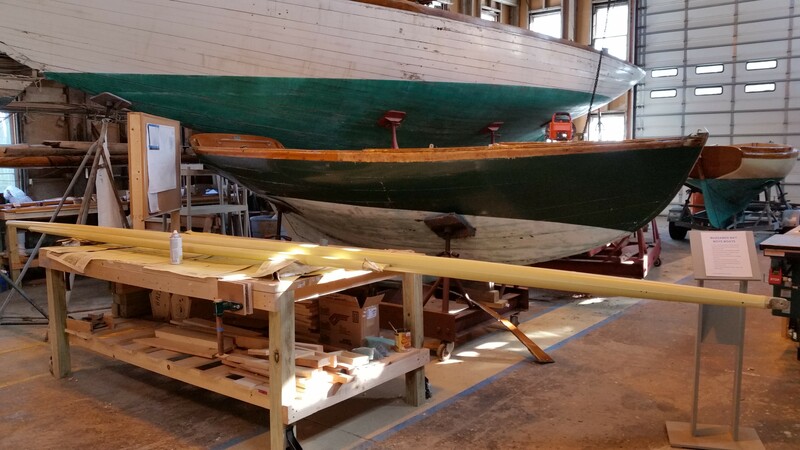 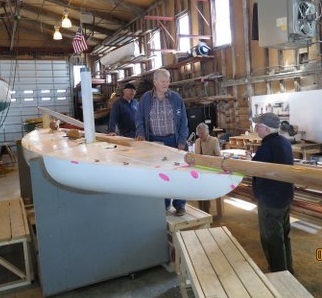 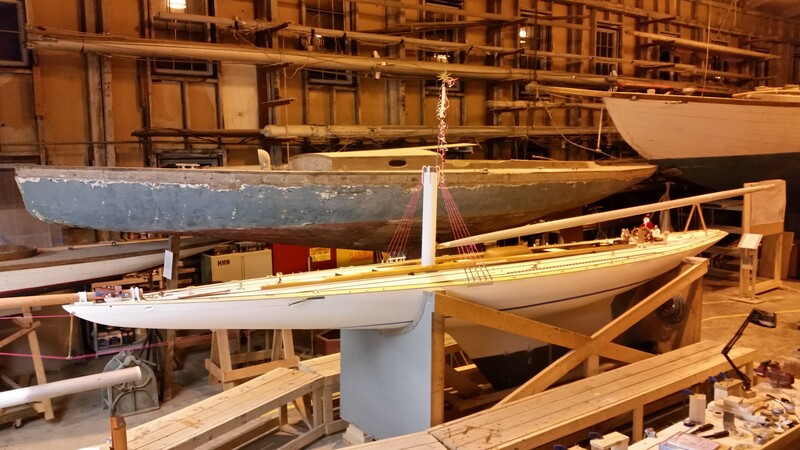 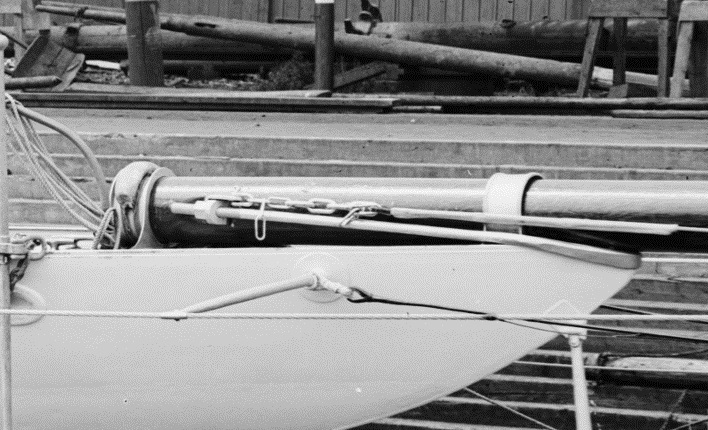 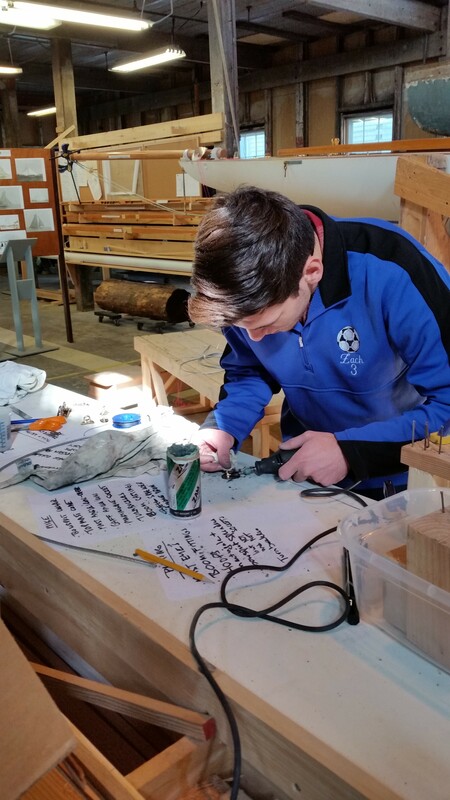 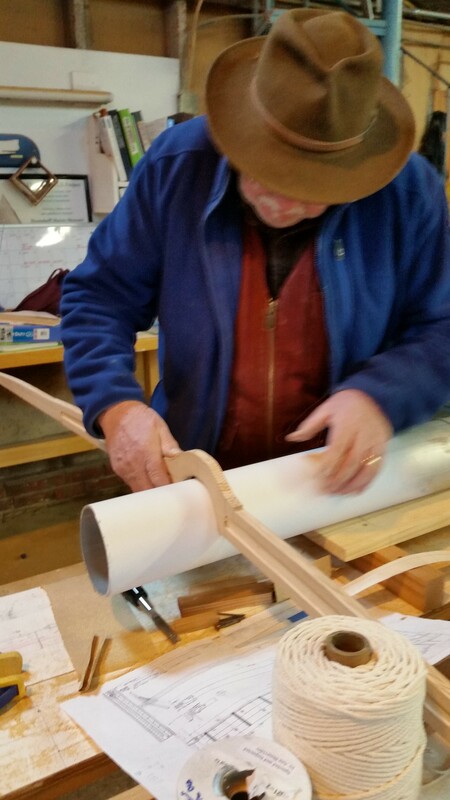 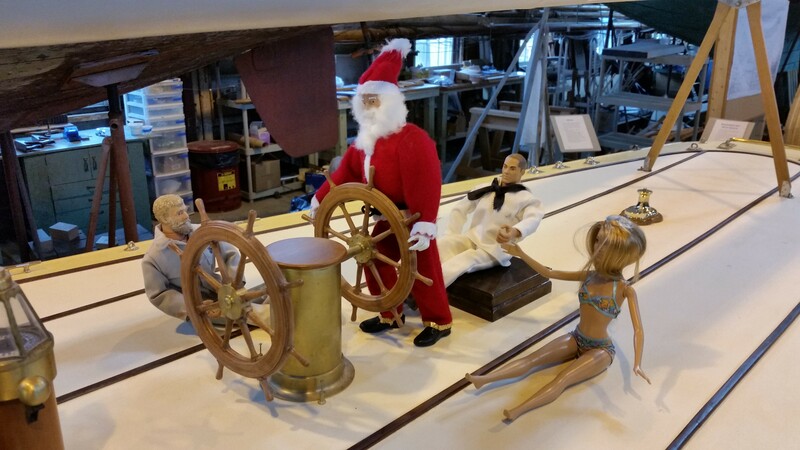 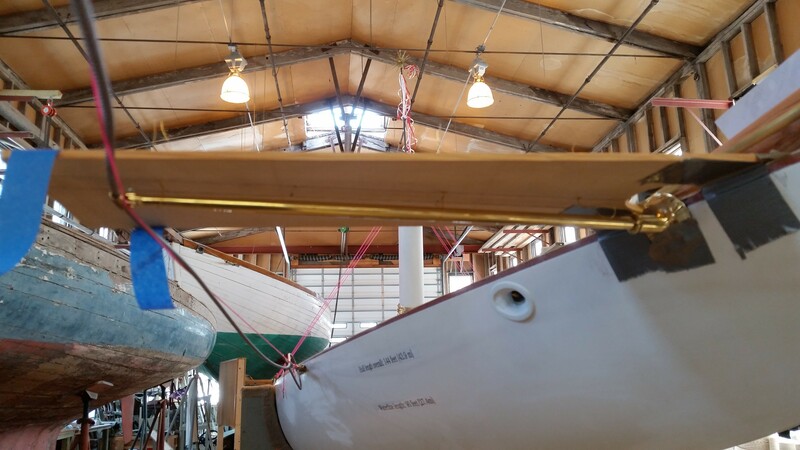 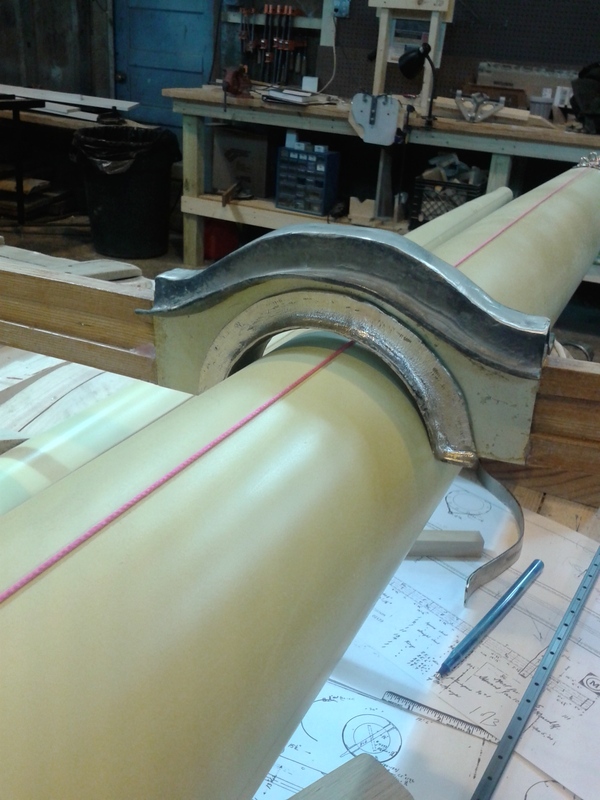 This entry was posted in Project Manager's Welcome and tagged fittings, Herreshoff, Herreshoff Marine Museum, jigs, keith, lucy, mast, ngh, RELIANCE, Reliance Model, RELIANCE Project, rigging, strain on March 4, 2015 by Herreshoff Marine Museum/America's Cup Hall of Fame.